Eugene Buttigieg is an Associate Professor at the Department of European and Comparative Law of the University of Malta. He holds law degrees from the University of Malta (LL.D. ), the University of Exeter, UK (LL.M. /with distinction/ in European Legal Studies) and the University of London, UK (Ph.D. in Competition Law). 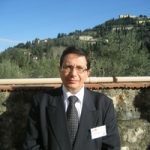 He has been a full-time academic at the University of Malta since 1994 and was a Visiting Fellow in European Law at the British Institute of International and Comparative Law, London between 2004 and 2007. He has published widely in his main teaching and research areas, namely European law, competition law, consumer law and intellectual property and he is the author of, amongst others, the chapter on Malta’s citizenship laws in /Citizenship in the New Europe/ (eds R Bauböck, B Perchinig and W Sievers), Amsterdam University Press and of the country report in the /Study on Refugee Status in EU Member States and Return Policies/ by the University of Konstanz and the members of the Odysseus Network (2005). He also participated in the IMISCOE workshop on Citizenship Policies in the New EU Member States and Turkey organized by the AustrianAcademy of Sciences in Vienna, Austria in 2005.